Adventures In Fitzyland will take you on a journey through the crazy thing we call life. Stories and pictures of our family, Things I love and want to share with everyone and other random thoughts I think you should know. Sit back and enjoy the rides. The Kids have been asking for a while for a garden but John and I have black thumbs so we keep putting it off. We finally decided to give in and give it a go. The weekend before Easter Nathan and I went to a local nursery Sierra View to get some supplies and much needed help. For anyone local to Fresno/Clovis I highly suggest Sierra View, they will help with everything, are so nice and have great prices. They have a whole kids area with swings, monkey bars, chicken coop, chicks that will soon become chickens and also a Children's Garden that they offer for free where the kids can come out and plant and take care of the plants as they are able to and Sierra View takes care of them when they are not there. They also help teach them about gardening in the process. Nathan and I had a coffee date. We got our plants home and waited for Easter weekend to plant them. We got Bell Peppers, Purple Carrots some flowers, some seeds as well for a future weekend. The Easter Bunny must be very smart, he knew we needed garden supplies and fill a special basket with them for the whole family and special ones for the kids in their baskets. We spend Easter Morning planting our new garden. Some nice flowers in the front yard and the rest in hanging baskets in the back yard ( we don't get sun on the ground) Nathan said it was the best day ever and Kahlan loved scratching the dirt. Everyone is having a great time taking care of our plants and watching them grow. And yes I know now that those carrots need a deeper pot, that is being worked on as well as a planter for our seeds. Its been a few months. But I have some reviews for you. My Newest Box is Nature Box. NatureBox makes it easier for you and your family to eat healthier. Your monthly membership delivers hand-picked snacks to your door along with recipes and ideas for healthy eats. 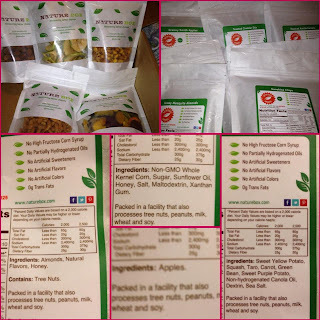 You can get 5 Full size snacks for $19.95 includes shipping or 10 Full Size snacks ( 2 of each) for $29.95. Visit my personal Facebook Page or Adventures In Fitzyland's Twitter Account for a link for $5 off your first month ( plus I get a referral credit) or leave me your email and I will message it to you. We also tried World Dinner Club from Hungry Globe Trotter its $34.99 a month and makes one Dinner for 4 with a few left over spices. 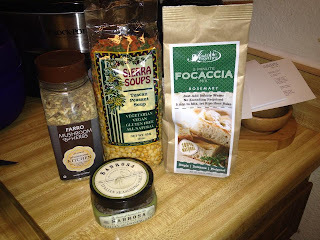 I think this is a great box for people on the go who want to try new things, all you need to do is add a few basics like Olive Oil and Chicken stock and the protein and you have a dinner. Hungry Globetrotter makes monthly deliveries to home chefs, culinary enthusiasts, families and busy professionals who enjoy the flavors of the world in the comfort of their own home through a month-to-month food box delivery service. Join our World Dinner Club and cook more exciting meals at home that don't take hours and aren't intimidating. Each month they feature a different style of cuisine from around the world. 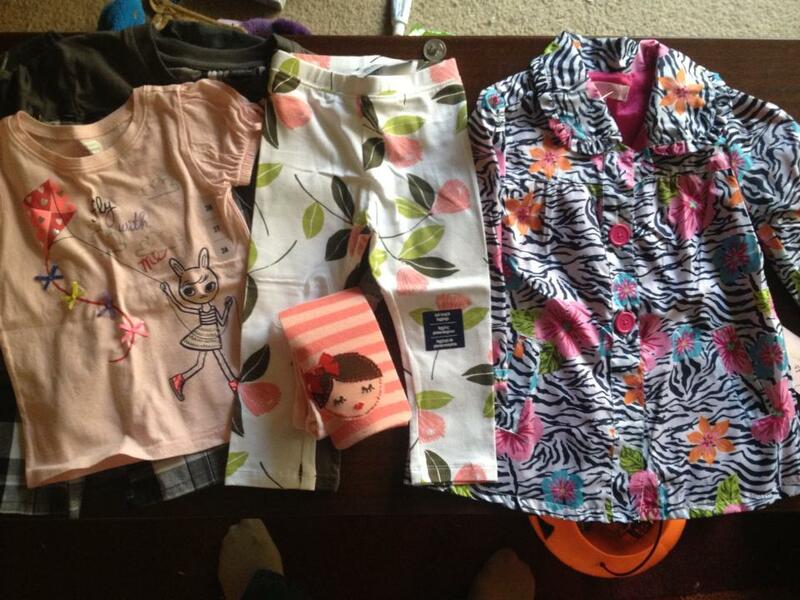 We tried another Children's Clothing Subscription Box, Sweet Pea Box. They all can't be bad right? I was a little weary after such terrible experiences with Wittlebee and Taddle Kids. But Sweet Pea has what the others are lacking, customer service. 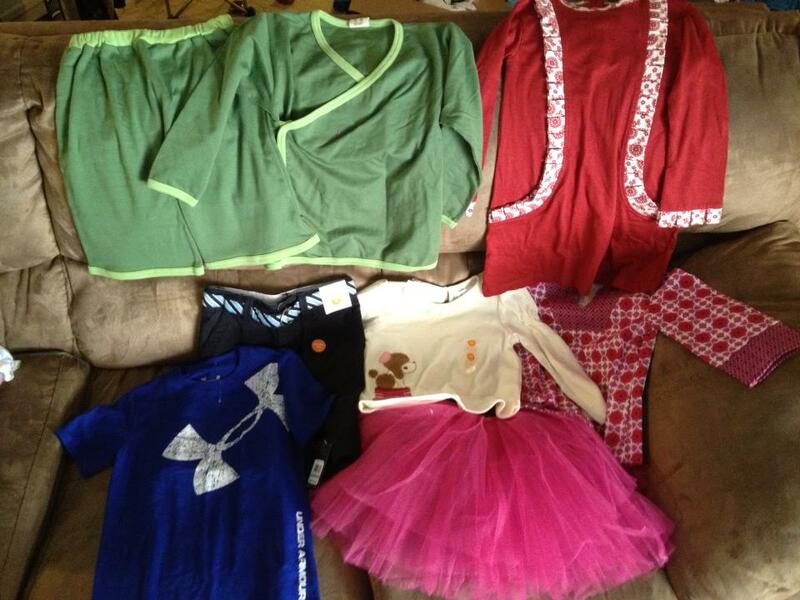 Kahlan's Items were adorable and right on our style notes, but it was all long sleeve and we asked for short sleeves. She nailed our replacements for Nathan. They were awesome! 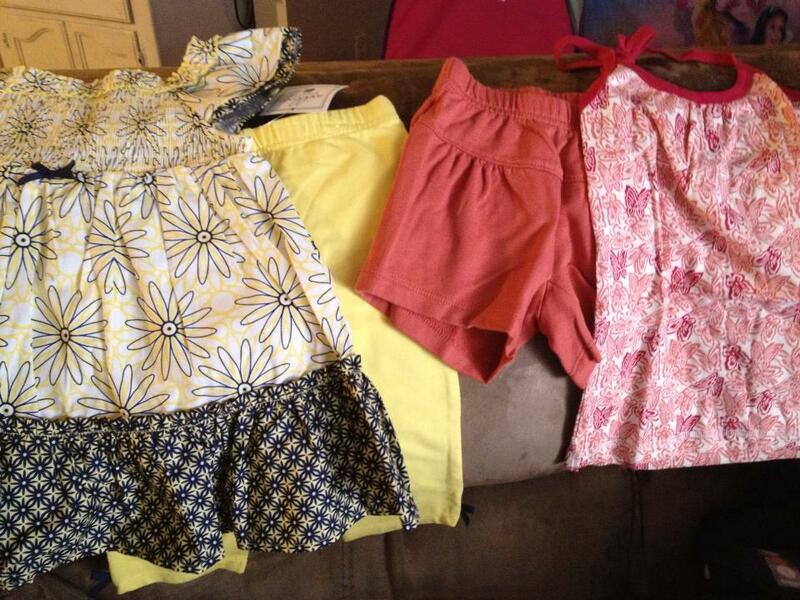 Kahlan's included a jacket :( When we were sending back the others for not being short sleeve. So that was a HUGE disappointment. She did include an extra pair of tights that are luckily big enough Kahlan can wear them when it gets cold again so that was nice. This one was cute but once again went against our notes 4 of the 8 pieces we won't be able to use. The boxes they send are cute and include nice things, but they can't seem to follow notes about colors and seasons. We just asked for all short sleeves and no yellow and orange. I even let them know if they HAD to send long sleeve to please size up so we could at least wear it once it gets cold here again. They sent yellow, orange and long sleeves that were not sized up. Sweet Pea is taking a break in April to get ready for a relaunch in May, I am going to email them mid April and see if these simple things can be followed and give them one more chance as they are a new company who is just starting out. If you don't care about colors Sweet Pea is a great box as they send cute stuff that is good quality and worth the value you are spending and do have good customer service. If you would like to try your own Sweet Pea box email them at customerservice@sweetpeabox.com and let them know Wendy Fitzcharles send you. Monthly Subscription Boxes are the newest craze. I love them. I know I've post about a few in the past good and bad. But I've been able to try out a few new ones and am working on the reviews now. Do you use any subscription boxes? While you wait for my reviews let me know which ones you like or have been wanting to try. Nathan started Preschool this week. I think he likes it, he keeps agreeing to go back. With it came many changes for our family. No more sleeping in and staying up late, daily alone time for Kahlan and I, keeping to a schedule. So far so good, we all adjusted to the schedule change well. We get to see John for a little bit in the morning and I know its good for both kids. Nathan was hesitant telling us what he learned at school the first day. I wanted to know so badly but he kept saying I'll tell you tomorrow. Finally I bribed him and he told me. Then he sang a new song he learned that day. A whole new song he learned in one day and was able to repeat to me! You would have though he cured cancer by how proud I was. While I know its just a cute song about ducks teaching kids about numbers to me it was success, Nathan can leave me and be with people other than family and thrive and learn. That means that John and I raised a good little boy. On the Second Day of School as we were getting out of the car Nathan looks right at Kahlan and says "Sissy I need you to take care of my animals when you get home. They will miss me when I am gone at school and you are good with animals." Then he looks at me and says "Mama you need to help too. Especially Puppers, hes my favorite and I love him lots. Ok guys you will do that for me?" We did, Kahlan and I had a tea party with them and Kahlan took her dog Barkers and Puppers to school to meet Nathan when we picked him up. I've been keeping Kahlan busy this week. When she is at home she gets a little restless and misses Nathan, I am sure she will adjust soon. But she is enjoying "Mommy School" aka shopping, playing and laundry ;). We went on an adventure to find her a back back this week as she needed to have one for Mommy School. I love that they love each other so much. While I thought school was going to be this hard adjustment for everyone it turned out that everything worked out well. We get to enjoy quick outings after school and went to the pet store Friday and enjoyed sonic sundaes for lunch ( shhhh don't tell, sometimes moms need to spoil good kids too) I can't wait for the rest of the school year and all the new and fun things this new stage in our life will bring. I am also going to get to learn how much I can fit into 2 1/2 hours with Kahlan. :) If you are local and want to hang out we are free in the AM, I am done dropping him off by 8:10. My Babies. We recently got $5 ToysRUs coupons and headed over there the other night to look for something and play with everything in the store. They were both so well behaved and waited while the other one looked at their favorite toys. They picked out their $5 toys, eventually. 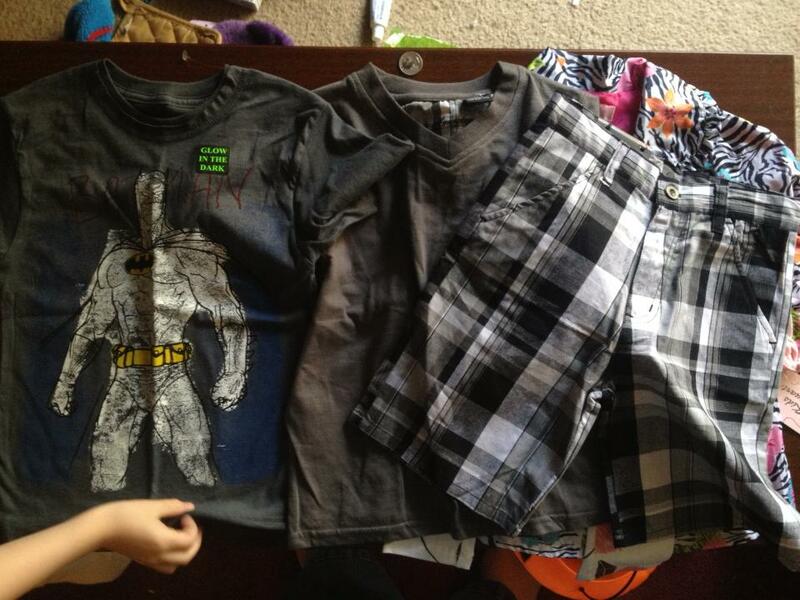 Kahlan picked what she wanted and was done. Easy. Nathan was picking cars and there are too many choices for matchbook/hotwheels cars for a little 4 year old. They both left all the toys that were over their budget there. Just wanted to add them to their Chirstmas list. 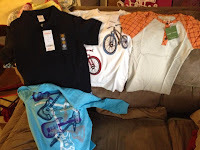 I know I said I was going to post later about places that I love to shop for kids clothing at and I still am. 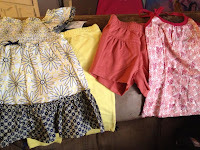 But this deal from thredUp is too good to not share with everyone now. I love thredUp and recently did a blog post for my Friends at Fresno Couponing. 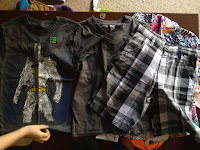 You can see the post here Reader Wendy Reviews ThredUp. You can also try the following codes, I am not sure if they work as not as they are only for new fans but its worth a try. AUGUST20 or SMART20 for 20% off your first purchase or FAN10 for 10% off your first purchase. Let me know which code worked for you. I have loved everything I have received from thredUp and have been so happy with all my orders.